Can you believe it is Monday already? I know my weekend flew by, and I am sure this week will as well. But forever this week gets too busy, let’s take a moment to announce this weeks luck winner. Congratulations to… Marcia! K & Company Scrapbook Albums make it is quick and easy to keep treasured memories. 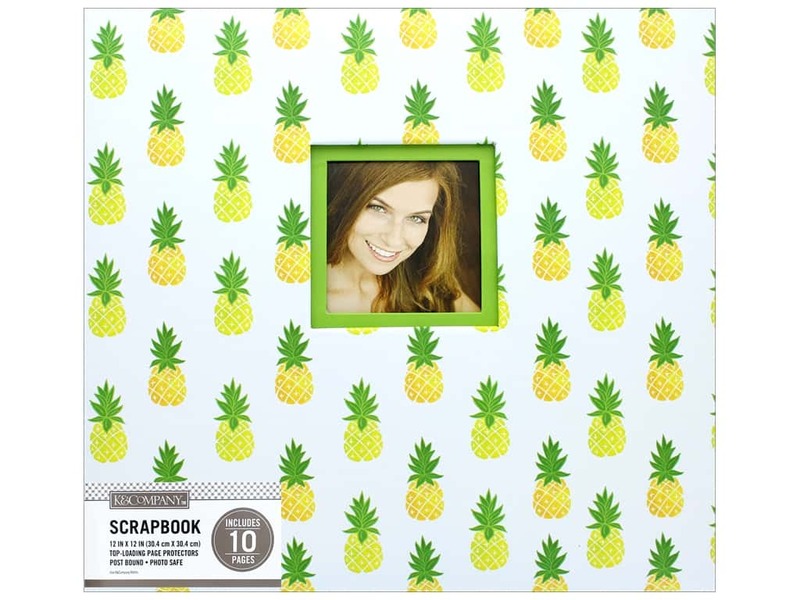 This post bound scrapbook has a white background with green and yellow pineapples. The front cover has a 4 x 4 inch window to display a photo. Includes 10 top-load photo sleeve pages. Page size is 12 x 12 inch. Album size about 13 3/4 x 12 1/2 x 1 inch with a vinyl cover. “’#1 – Cesar Millan (the dog whisperer) just because I’d like to know what my dog is thinking. #2 – Jack Hanna – because I love to hear him talk about wild animals and his zoo. This entry was posted in Crafts and tagged Free Stuff Friday!! on July 2, 2018 by Kimberly.